Recently the teaser poster came out for DBSK’s 4th album release titled MIROTIC, which is coming out on 23rd of September (no info on pre-orders). 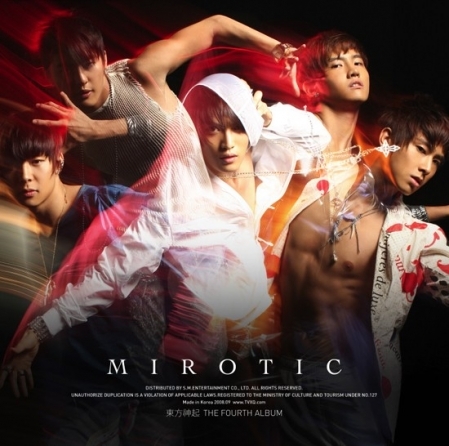 Some information from soompi about what Mirotic means “MIROTIC” is a newly coined word from the Korean word “MIRO” and the English word “TIC“. The word “miro” means “lost or maze”. 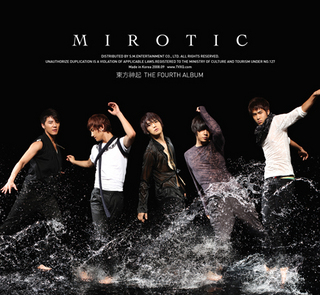 Some say that the meaning of the word Mirotic is the feeling of being wrapped in love with no way out. Mmmmmm that sounds really deep…..I guess this is a sign of DBSK’s maturity over the past years in their personal lives and musical growth. Omg DBSK “Hey (Don’t Bring Me Down)” song is out around the net. It has a strong beat and the vocals are great. I see that DBSK are going to be hitting us hard with their new sound. Should other Kpop groups like Big Bang and SuJu be worried about DBSK upcoming album?